“If you’re male and you live long enough, you’re going to have trouble with your prostate.” This phrase is often uttered by physicians who treat older men who suffer from benign prostatic hyperplasia, or BPH. According to the American Urological Association, more than half of males exhibit prostate enlargement by the age of 60, and many of these men experience urinary difficulties. While prescription medications are often used to treat this condition, some men initially turn to herbal supplements for relief. However, you should consult your doctor before using any herbal products. Although many theories have been proposed to explain why BPH occurs, the exact mechanism is unclear. Some scientists feel that a change in the levels of male and female hormones plays a major role. A 2008 review in “Urologic Clinics of North America” outlines the possible role of inflammation in the progression of BPH. Although scientific evidence is insufficient to support the use of herbs for treating BPH, they may ameliorate some of its causes. Saw palmetto is a popular remedy for BPH. In some studies, it demonstrated benefits that rivaled prescription medications. 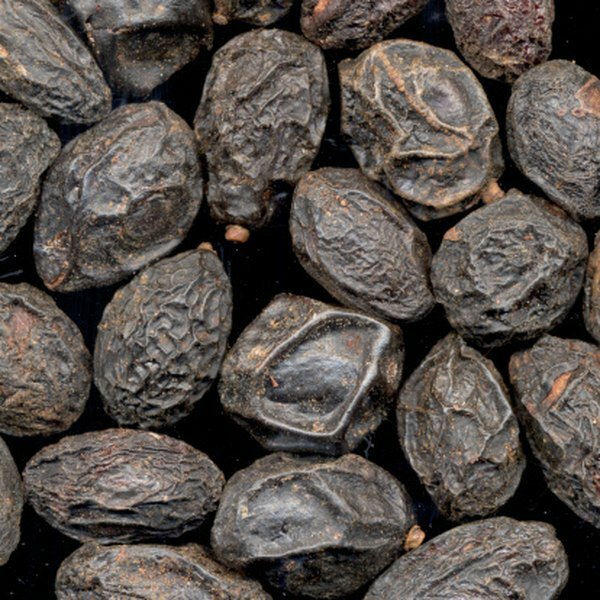 While it is unclear which component of saw palmetto is beneficial, most researchers agree that the sterols and free fatty acids in the plant’s berries are probably the active constituents. Even though saw palmetto teas are available, they contain minimal amounts of these ingredients. Whole berry preparations or extracts are therefore recommended. But check with your physician to find out whether saw palmetto might be appropriate for you. Pygeum africanum, or African plum, appears to be more effective than placebo for reducing BPH symptoms, but studies have been small and poorly designed. A tea made from Pygeum bark is commercially available. In order to be effective, generous portions – at least one-half ounce – of the bark should be brewed as a tea and consumed three to four times daily. Extracts and capsules are also available. If you're interested in trying Pygeum, check with your doctor first. A 2007 review by German researchers, published in “Phytomedicine,” demonstrated that a methanol-based extract of nettle root improved symptoms of BPH. However, most of nettle’s purported benefits are gleaned from small or poorly-designed trials. Like saw palmetto, nettle root’s important components are not effectively extracted in hot water, so commercially available teas probably don’t provide sufficient amounts of the active ingredients. However, an extract can be added to water to make a tea. Unlike the root, there is currently no evidence to support the use of nettle leaf for BPH. Consult your physician if you would like to try nettle root. Whole pumpkin seeds and South African stargrass have been shown to reduce BPH symptoms in small, controlled studies. One early review of the effectiveness of cernilton, a ryegrass pollen extract, did not show significant benefit. Other herbs with reputations for alleviating prostate symptoms, some of which can be consumed as teas, include horsetail, uva ursi, cornsilk, couchgrass and hydrangea root. Talk to your doctor before using any of these herbal products. Most herbal preparations that have reduced BPH symptoms in scientific studies do not lend themselves to making teas. Extraction of the herbs’ active ingredients requires stronger solvents. Pygeum may be one exception to this observation, but it, too, might be more conveniently taken as an extract. There is no scientific basis for using herbs to treat severe BPH symptoms. Before you try herbal teas for BPH, first consult a physician to ensure that no other conditions are contributing to your symptoms. Stephen Christensen started writing health-related articles in 1976 and his work has appeared in diverse publications including professional journals, “Birds and Blooms” magazine, poetry anthologies and children's books. He received his medical degree from the University of Utah School of Medicine and completed a three-year residency in family medicine at McKay-Dee Hospital Center in Ogden, Utah. Are There Herbal Remedies for Trichomonas Vaginalis?